I get a lot of requests on how to create linings for various types of garments. Friends, I could write a book on this subject because there are so many different types of garments out there and there are so many different lining treatments. 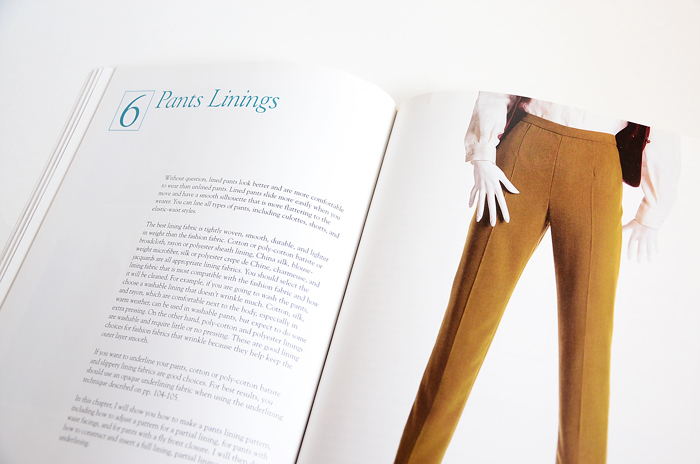 Luckily though, I don't have to because there is already a book that should be in every garment sewer's library: Easy Guide to Sewing Linings by Connie Long. 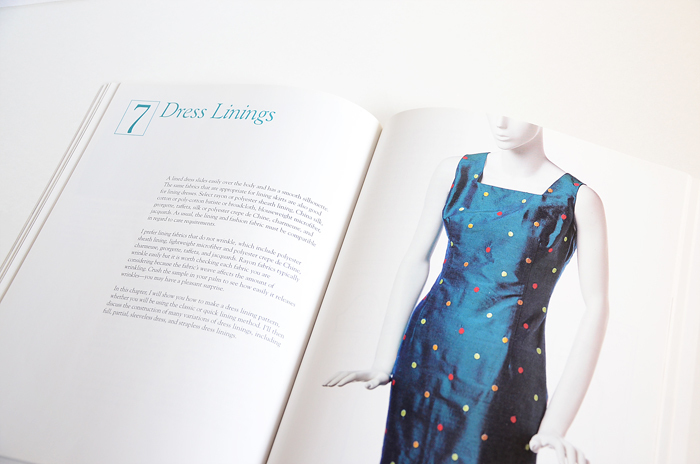 This is my go to book for creating linings in every type of garment/lining conundrum. 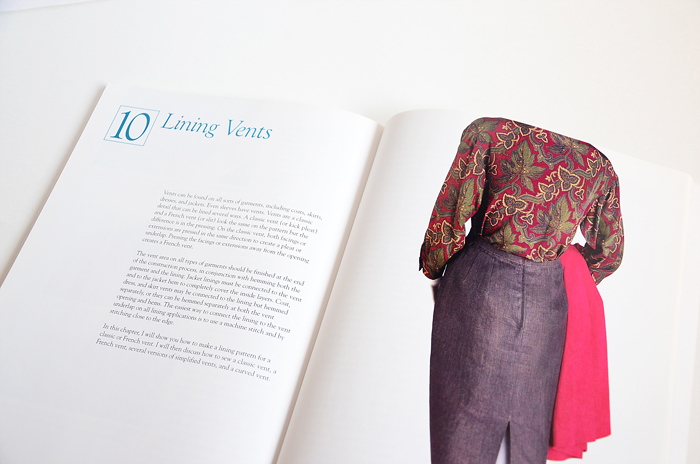 It covers everything from creating a lining for a jacket or a coat (great for when a pattern does not come with one, or if it did how it can be improved) to lining sweaters (that's right! sweaters!) to 3 different solutions for lining a vented garment + so much more. 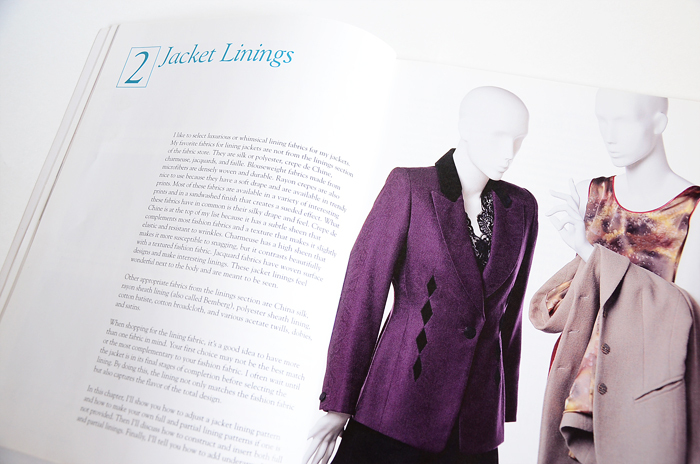 So just to be clear, this book shows you how to create the paper pattern for the lining, how to sew it, in addition to providing outstanding info on how to pick a lining and what kinds of fabrics work for various lining treatments. 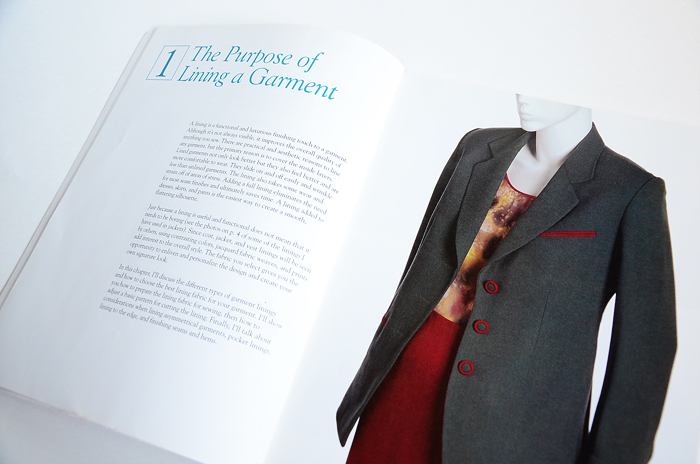 If you don't have this book, and you like lined garments, then all I have to say is "what are you waiting for?" I have the real life book for my reference and at this point in time, I do believe this book is no longer in print. You can get a used version but the price can fluctuate quite a bit and probably more so since I'm posting about this today. However, guess what? There is a downloadable e-book and I can't tell you enough that it is worth every single penny. 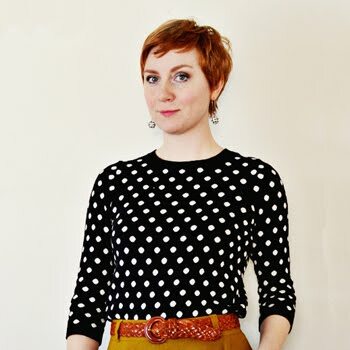 Later on this week, I thought I would also give you my insider resources for where to find great linings online and locally, in addition to my favorite linings and the kind of fabrics I use the most. Do you have this book? If you do, isn't it wonderful? It truly is one of the most amazing little books I own. Definitely a must have! I do have this book, and it is wonderful! 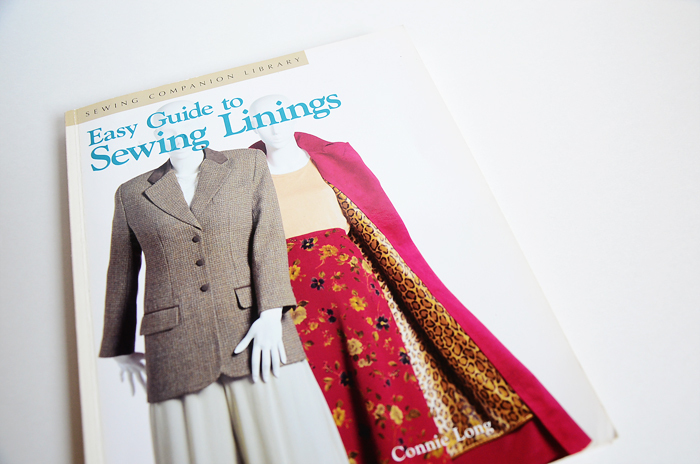 I agree with you: I think this is one of the best-written and most useful books in my sewing library. I have totally checked this book out from my library before. Now, I put it on reserve - well tried to - and it's not available ;-( Like no copies to lend out at all. What the heck!? I have to scour Amazon for it! I have this book and it is a treasured resource. You are so right every sewist should definitely own it because it answers every lining question you could think of! I have this book and I love it. I got it at a used book sale at my local library. It cost me $2.00. I didn't think much of it when I bought it but the more I read the more excited I was that I got so much more than what I paid for. I have this book and love it. I got the electronic version, printed it and put it in a three ring binder. It's a great resource. Sunni, I have this book and I understand some part of it. This is absolutely no fault of the book but my learning style! Being an audio visual person, I really need to see it before I 'get' the idea. I really wish Connie Long taught a Craftsy course on this very subject. You must be a mind reader. I was contemplating how to add a lining to a jacket this week. I agree, it's great! I've the downloadable version on my ipad, and it's a wonderful resource! I'm looking forward to your posting on sources. I have trouble finding linings locally and sometimes end up paying more for a lining than the fashion fabric. Thanks for the tip, I'm trying to downsize my rather large book collection (to make more room for fabric ha ha) so to get this electronically would be great. I so agree with you about owning this book. I have used it a lot and always surprised that there is a technique to lining some sewing project for just about everything one can sew. I have this e book. Although it is a thorough reference, I do not find it easy to understand. I usually pile up all my resources and take from each what I can understand. After I line something and read Connie's instructions again then I say "oh now I understand what she's saying". The easiest lining advice I got was Lining Pattern = sewing pattern minus hems, minus facings, plus seam allowance. I use to take classes taught by Connie at G Street Fabric! She was a wonderful teacher. I always learned a ton. It is sad that I live so far away now. I knew she contributed articles to publications such as Threads, but I had no idea that she had written books. Thanks for the recommendation! I'll be scouring the internet for a copy.